Have your name or message made a permanent part of Fort Worden State Park or honor someone special in your life. Sponsor a brick paver and help us continue our support of projects and activities benefiting Fort Worden. 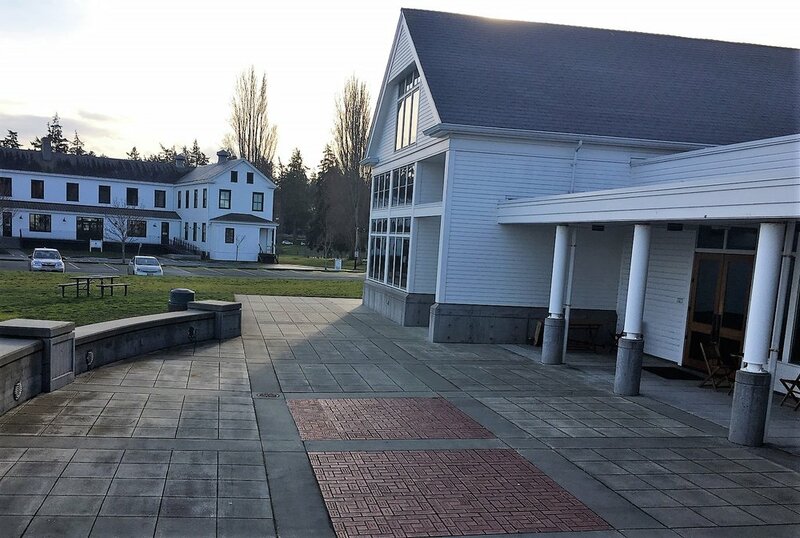 These custom engraved (3.5 inch x 7.5 inch) paver bricks are transforming the Fort Worden Commons east patio into an historic record of park supporters. Friends of Fort Worden reserve the right to edit text and determine the location of bricks in the patio pattern. When your order is accepted, you will get a letter or email acknowledging receipt of your order (for tax deduction purposes) and confirming the text to be inscribed so that you can verify it. Orders are held until there are enough to fill a complete block. Once the bricks are installed, a letter informing you of the location of your brick(s) will be sent. A maximum of 16 characters (including spaces & punctuation) are allowed per line. Cost is $75 for up to three lines of text. You may order individual pavers online using the PayPal form below. Enter a maximum of 16 characters on each line, spaces and punctuation included. You must fill out one line but may leave other lines blank if you wish. When you go to complete the payment there is a message box that you can use if you have special instructions or additional information like your phone number. We will try to honor any reasonable requests. Please be sure to provide us with a valid email address so we can contact you if there are any issues. We will also use the email address to be sure that we have your order correct. Order an entire commemorative block of 12 brick pavers for $750, a savings of $150 over the price of individual pavers. Honor your special memory, event, group or loved one with an entire block of 12 pavers arranged in your preferred order. Use this Special Offer 12-Paver Order Form to place your order and mail to us with your check, or bring the form to our Gift Shop to pay by credit card.